Hello, I am Ashwin Vasudevan, currently pursuing B.E in Electronics and Instrumentation engineering at Easwari Engineering College, Chennai. I have a variety of skills from app development to UI/UX to ROS and embedded. Last year, I obtained a 100,000 grant from Analog Devices India as a part of an IOT fellowship named "Anveshan". In this fellowship, I was working on an IOT platform which collects and analyzes data to improve agriculture intelligence. The platform interfaced with public lab's cameras(Mobius Action cam) and thus obtained false NIR images. 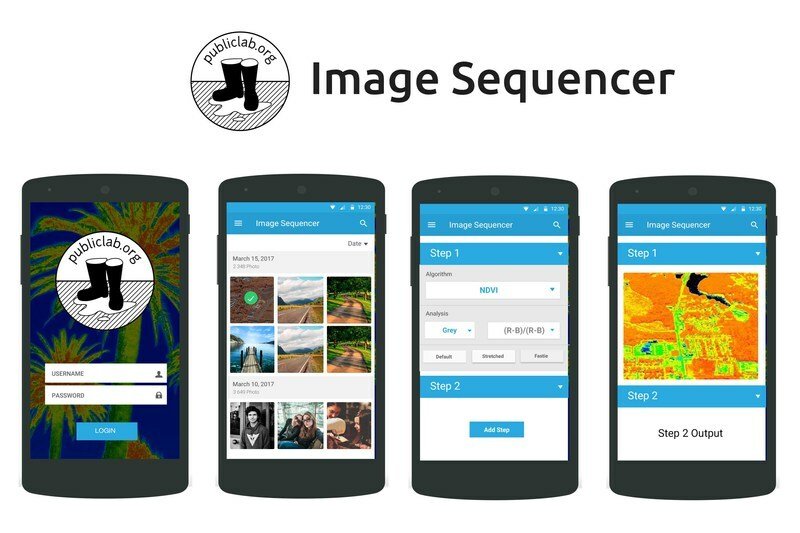 By developing an app for Image Sequencer, the services of public labs are available to a wider user base. It helps public labs build a stronger brand and thus bring in more people to contribute towards their mission. Apart from image sequencer'__s features, one significant addon that I plan to add will be batch processing. Image sequencer will not only be applicable towards publiclab's community but also the wider image processing community. Provided that I am selected, I would require help in exposing the webhooks. As Mr.Jeffrey Warren pointed out developing a fully native app will be difficult to maintain. Hence I will be using a wrapper. Hi, @ashwinvasudevan - thanks for your proposal -- I appreciate the UI mockups. Have you had an opportunity to try forking and making a simple pull request to the image-sequencer library? Thanks! @warren Not as of yet, will be submitting in a couple of days! Any feedback on the app? @warren I would be interested in working on image-sequencer. We can have the android goal as the stretch goal? If image-sequencer is completed satisfactorily maybe we can proceed with the app.